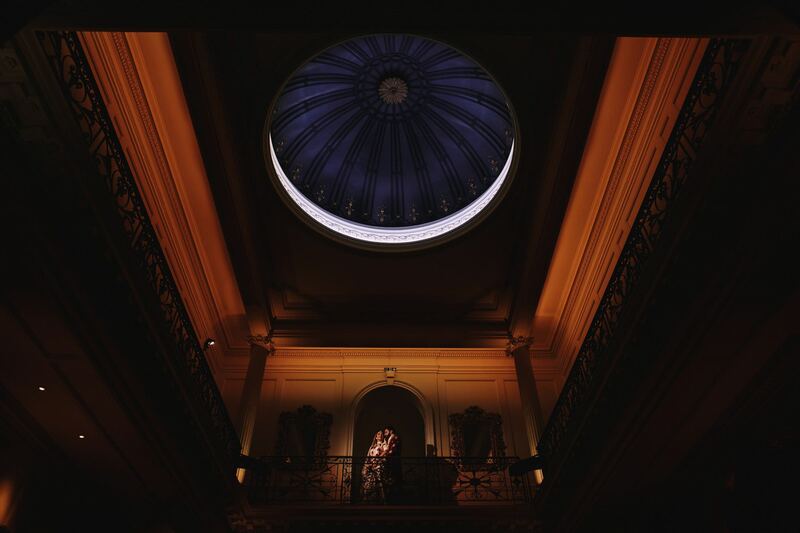 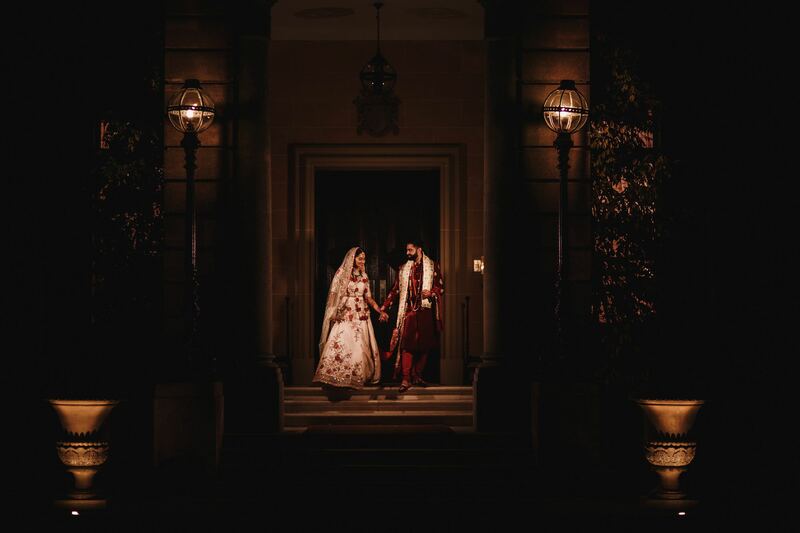 Mona and Dipesh chose the beautiful Hedsor House in Buckinghamshire for the first stage of their three days of wedding celebrations! 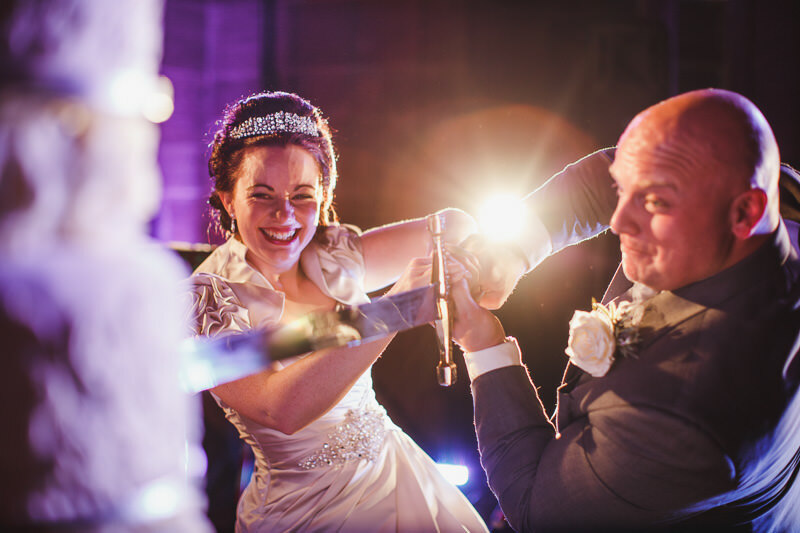 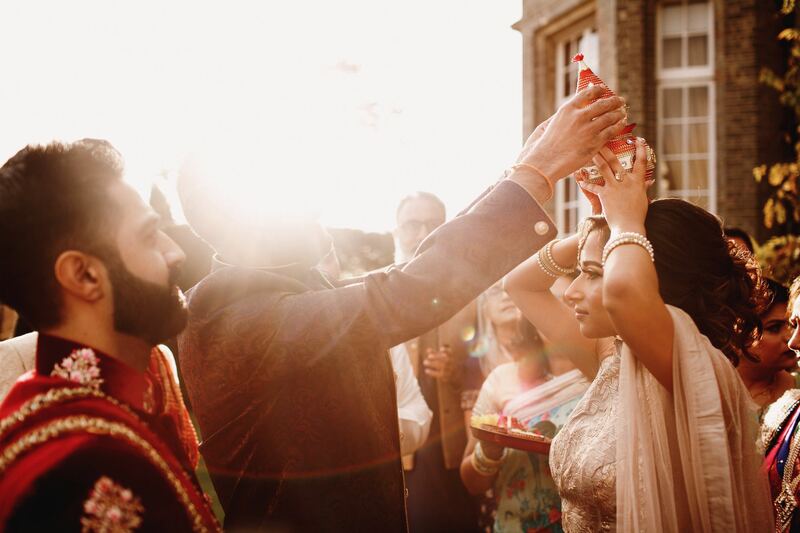 It was a beautiful crisp, sunny winters day for their Indian wedding celebrations to take place. 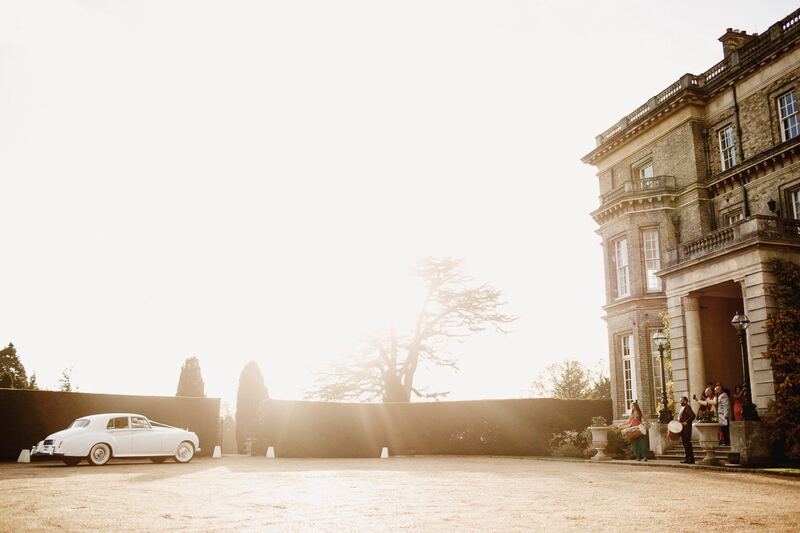 This was my first visit to Hedsor House in Buckinghamshire and it’s such a lovely venue! 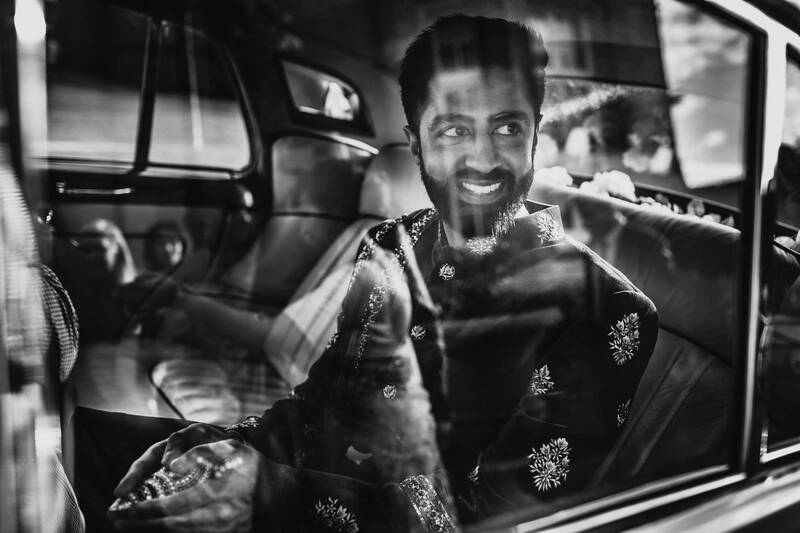 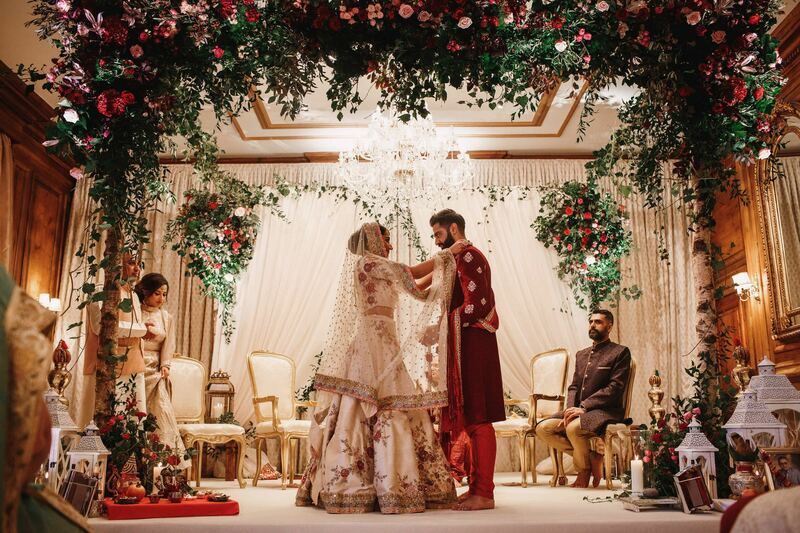 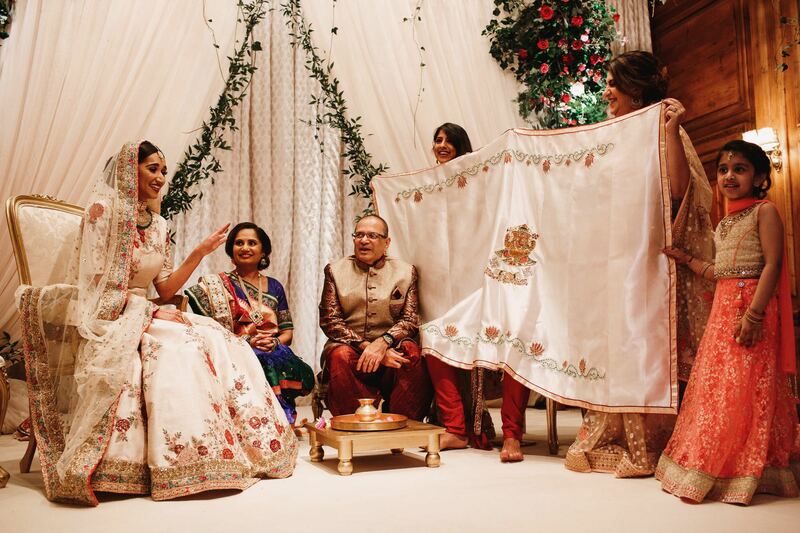 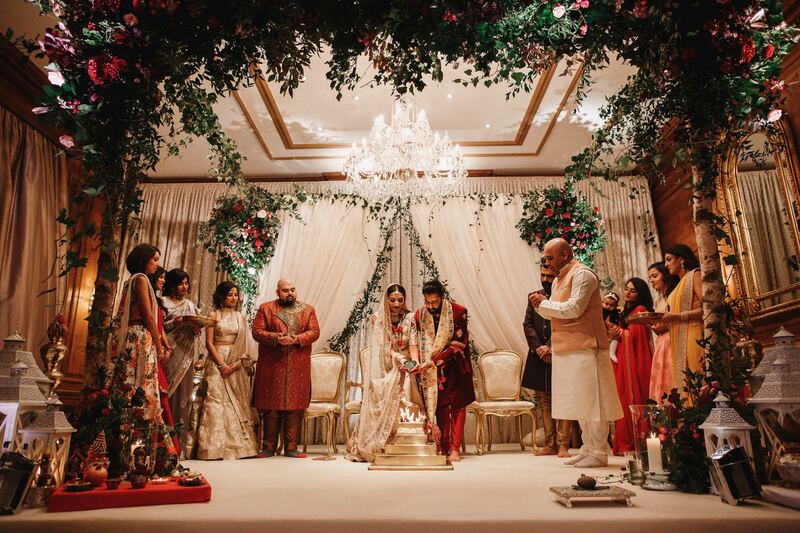 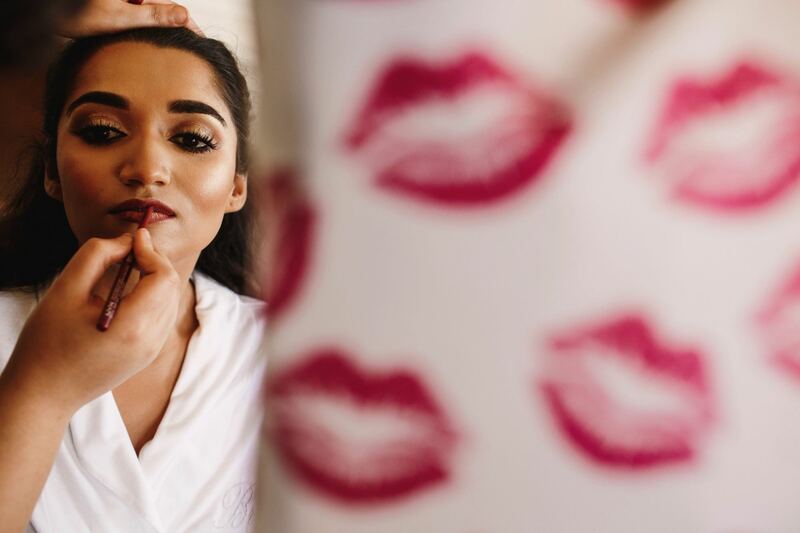 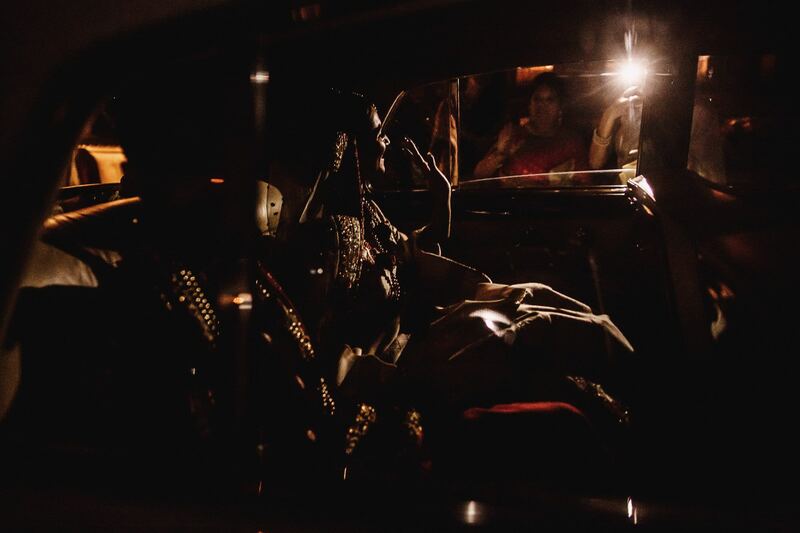 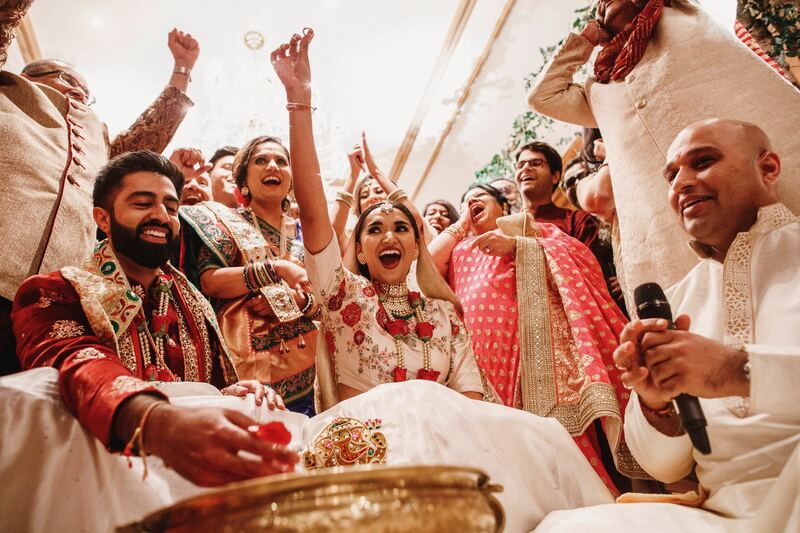 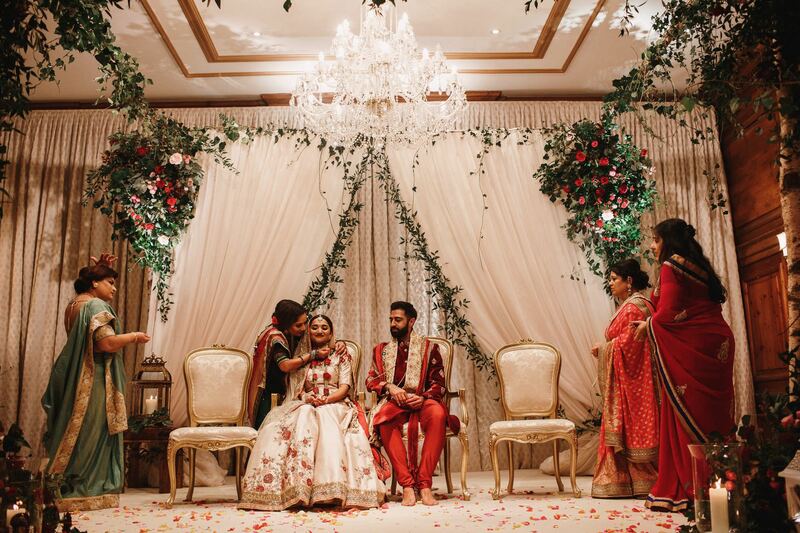 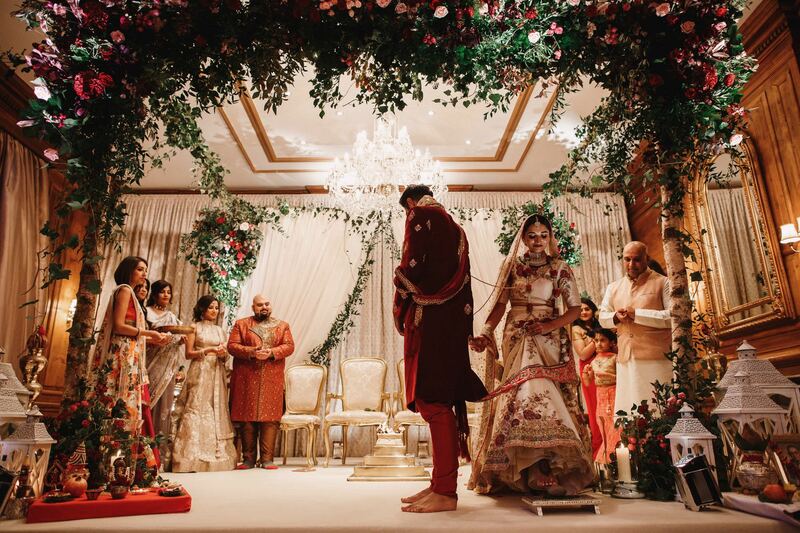 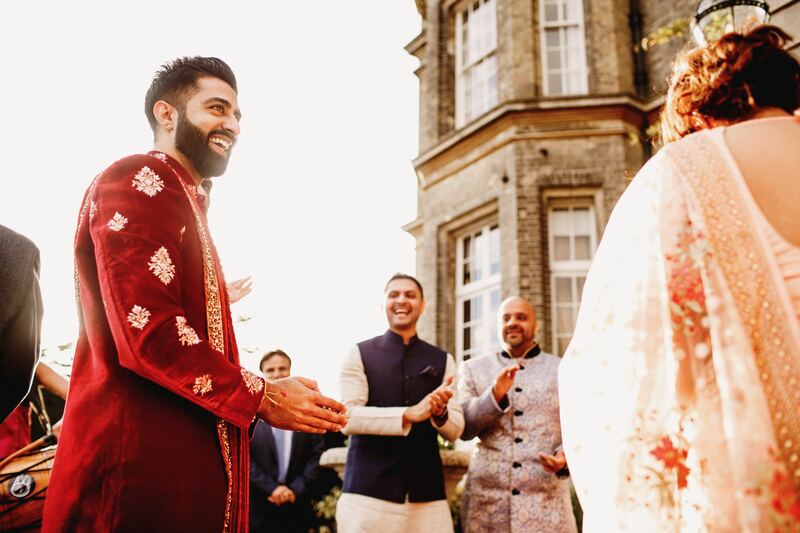 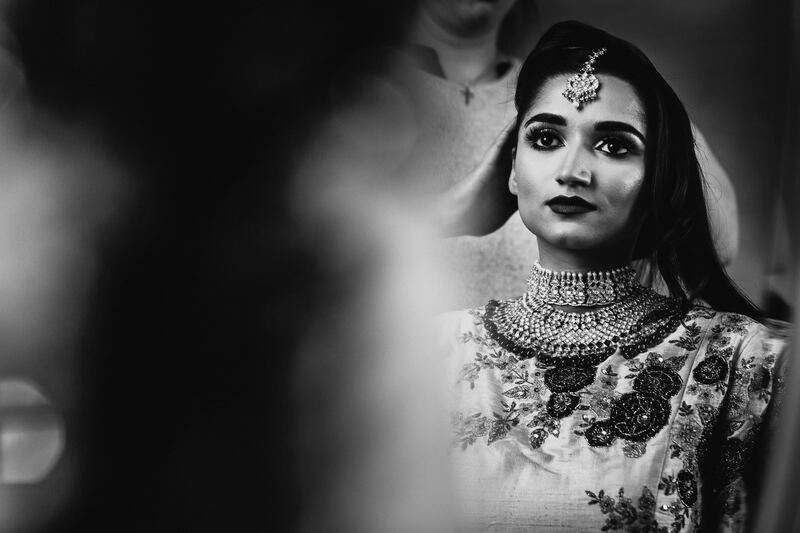 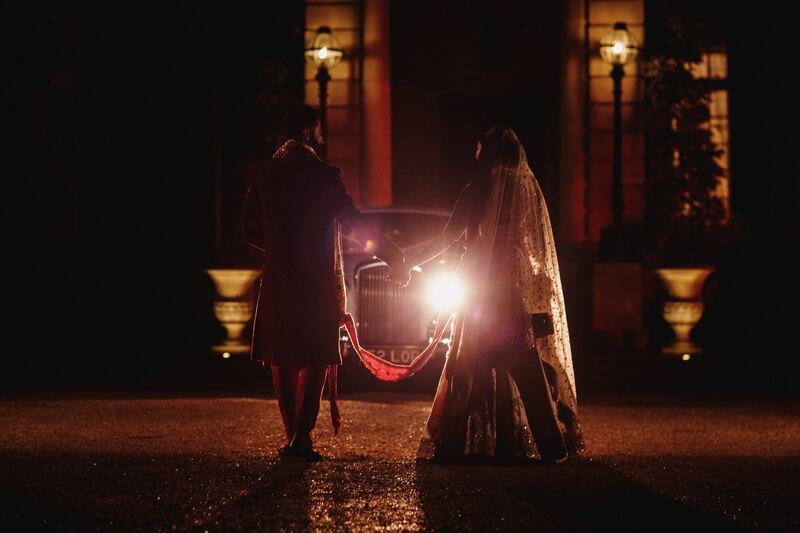 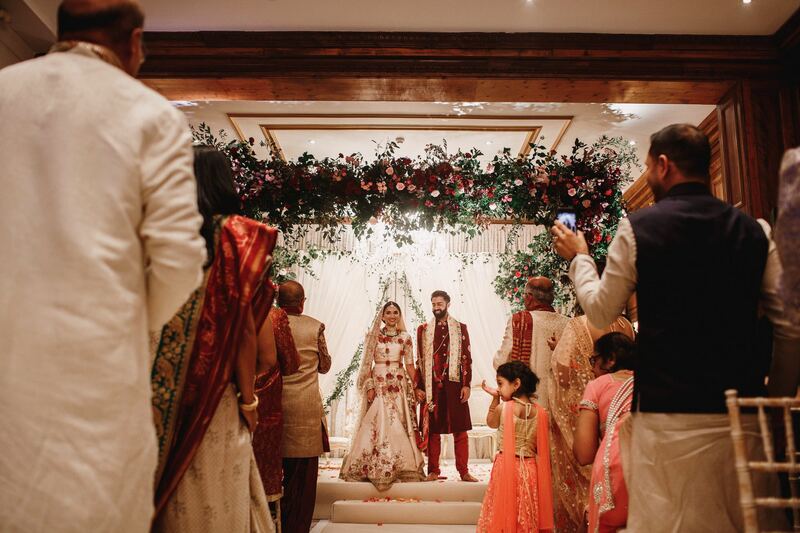 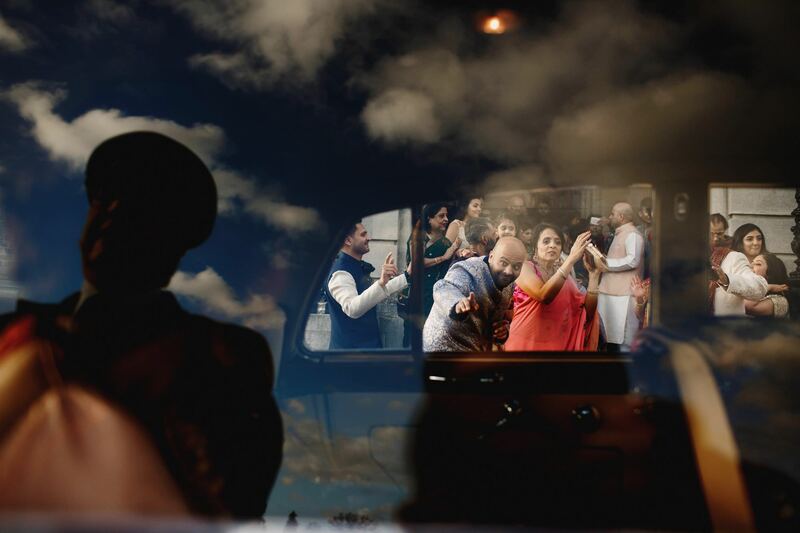 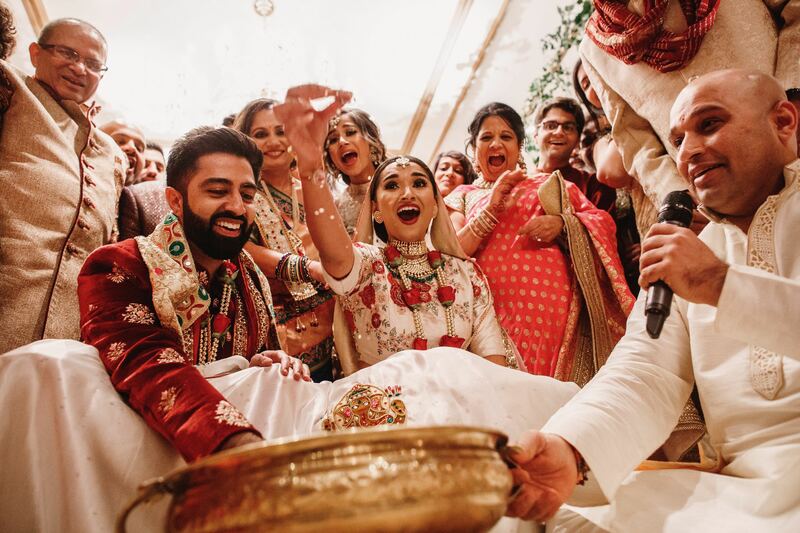 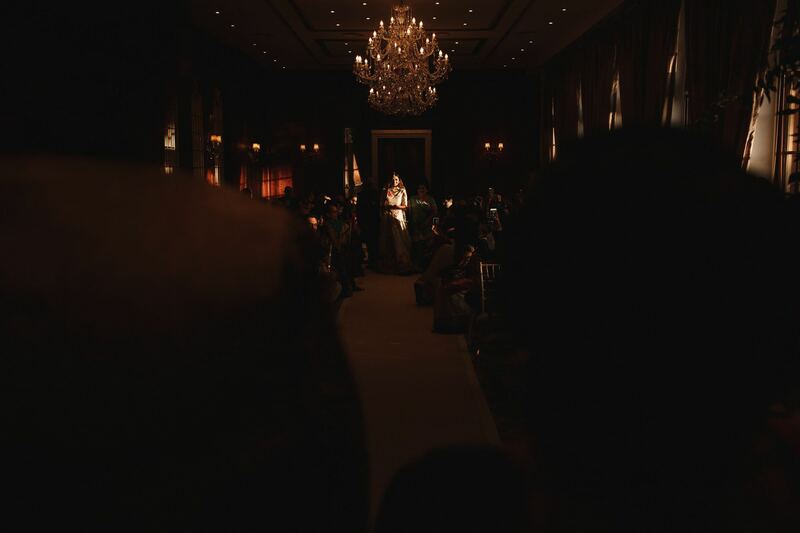 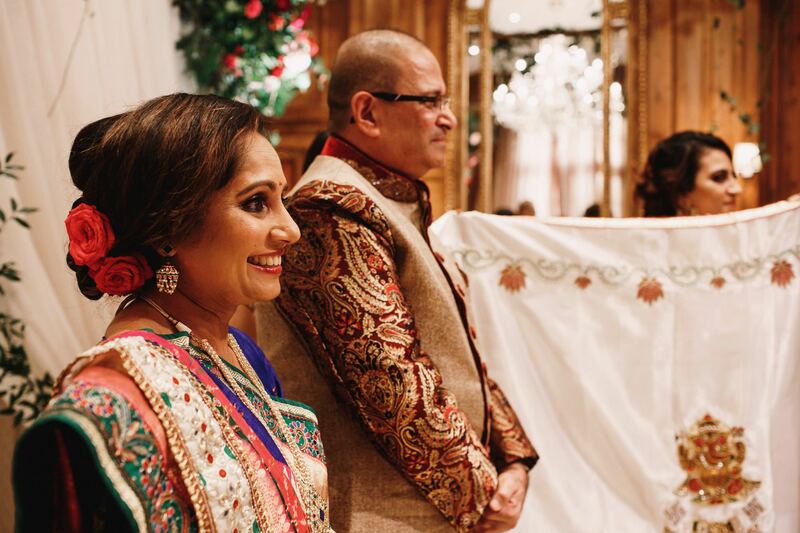 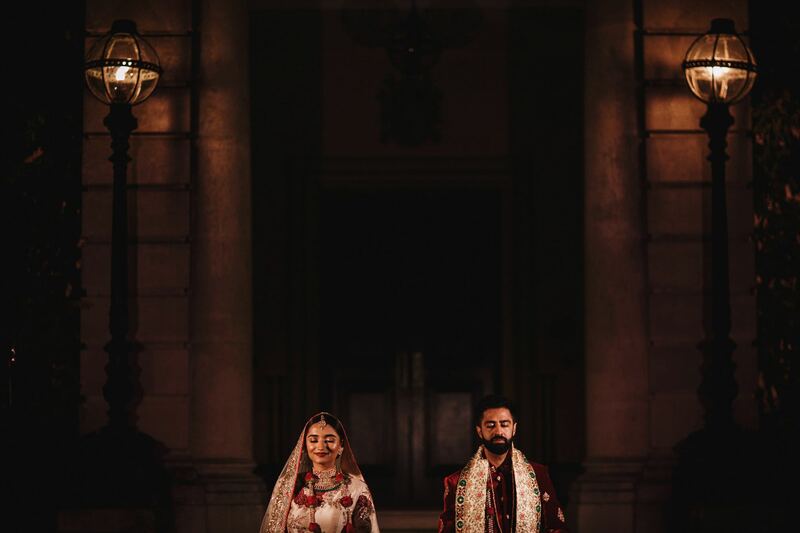 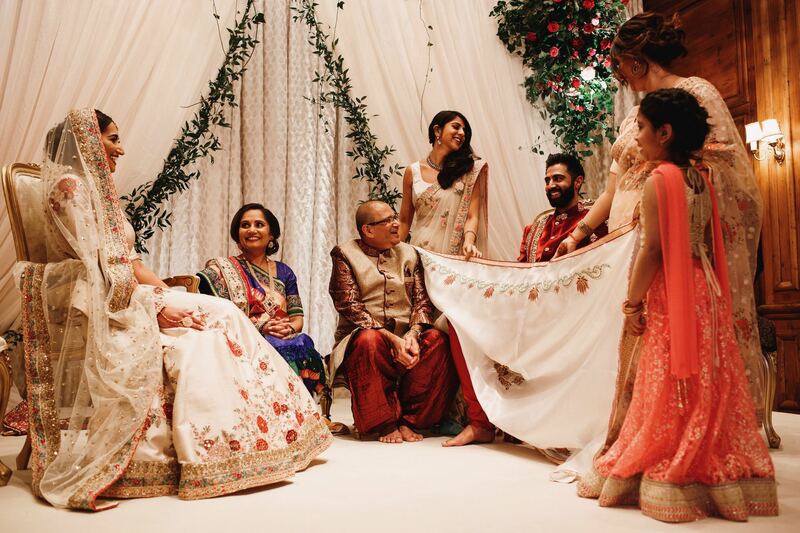 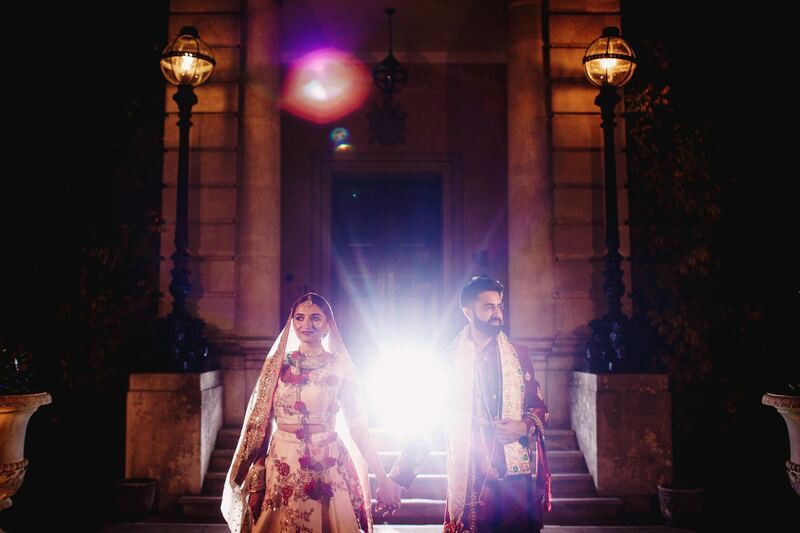 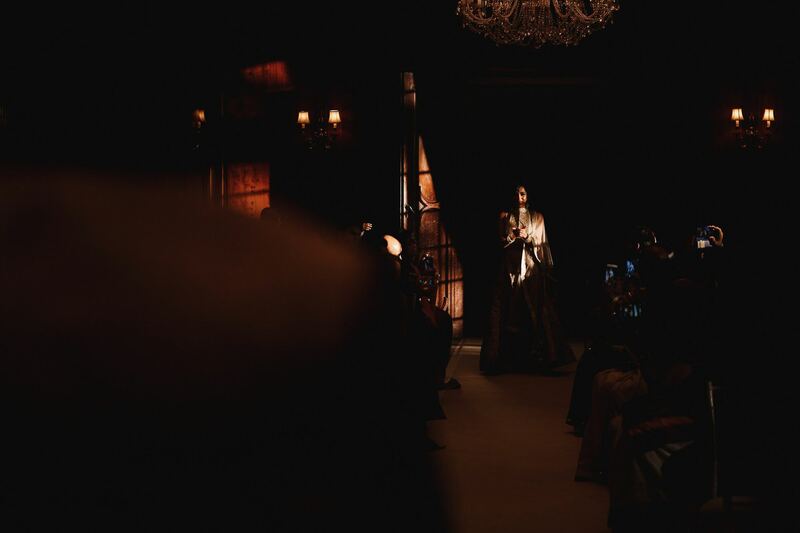 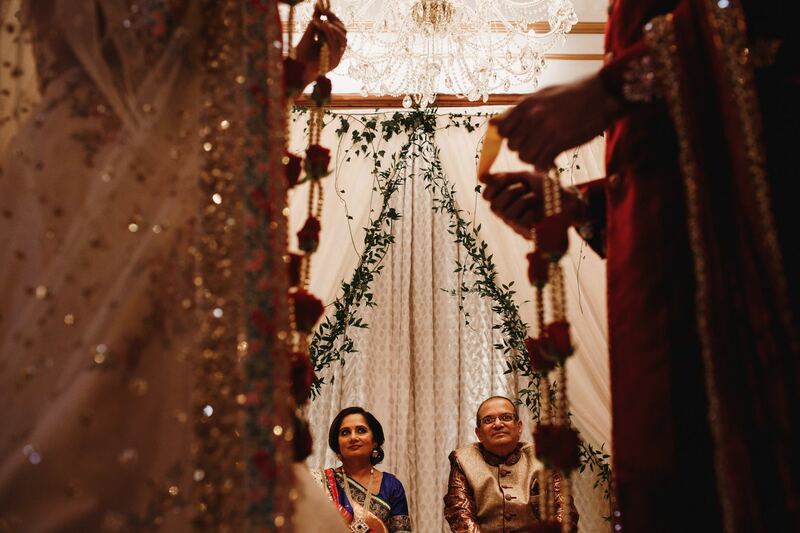 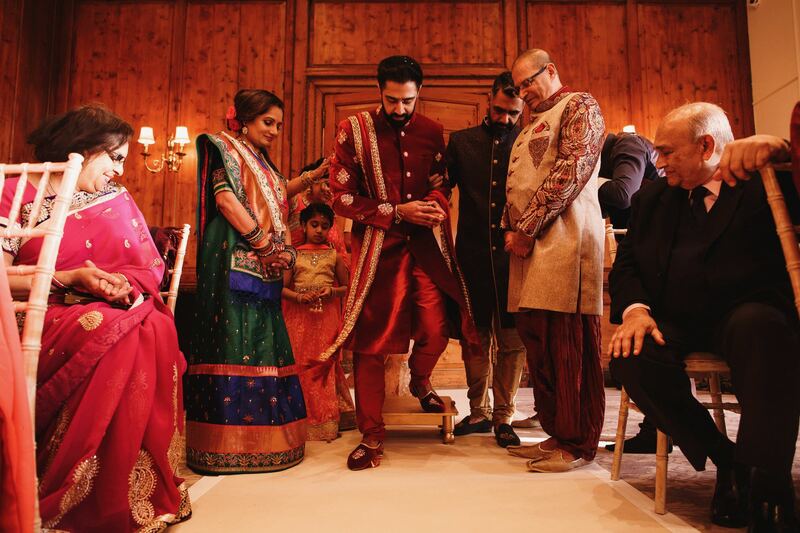 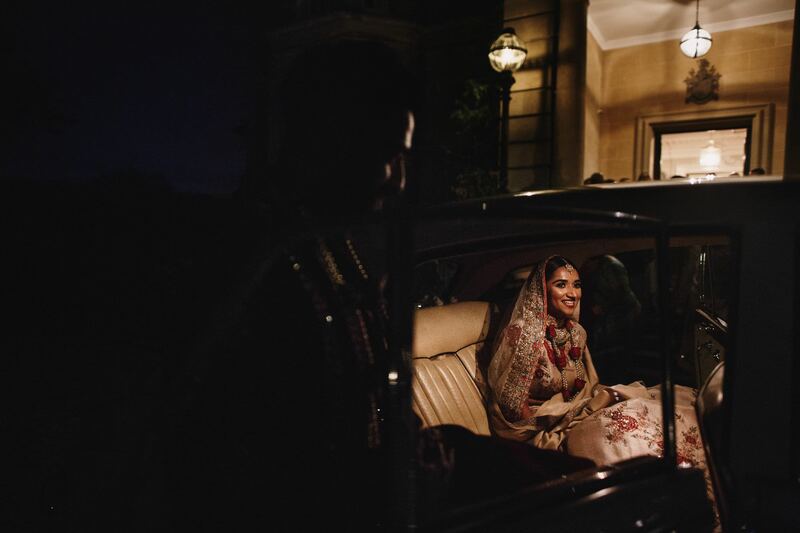 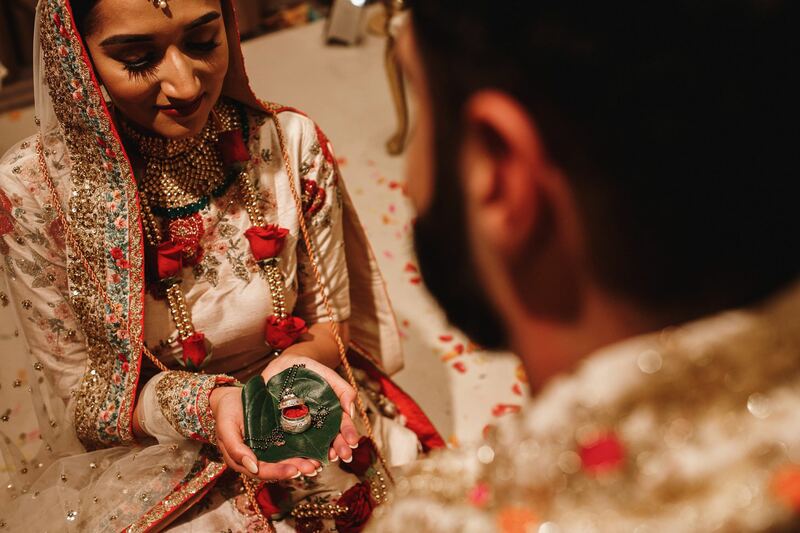 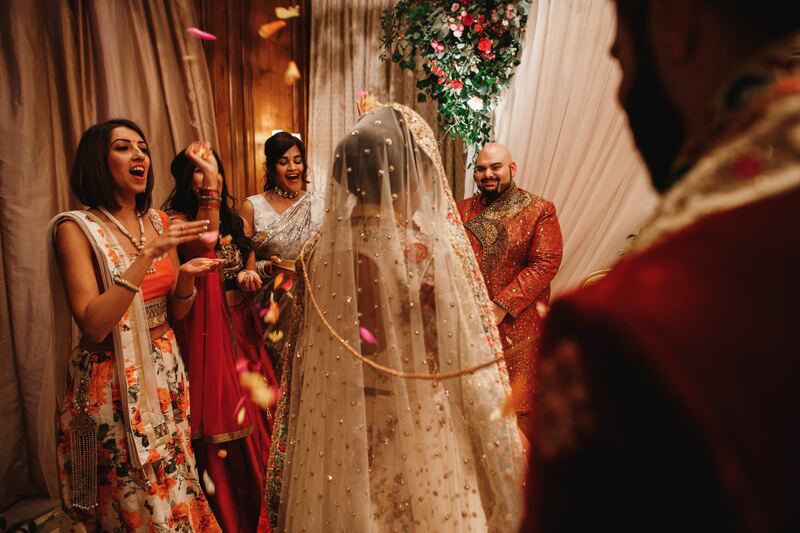 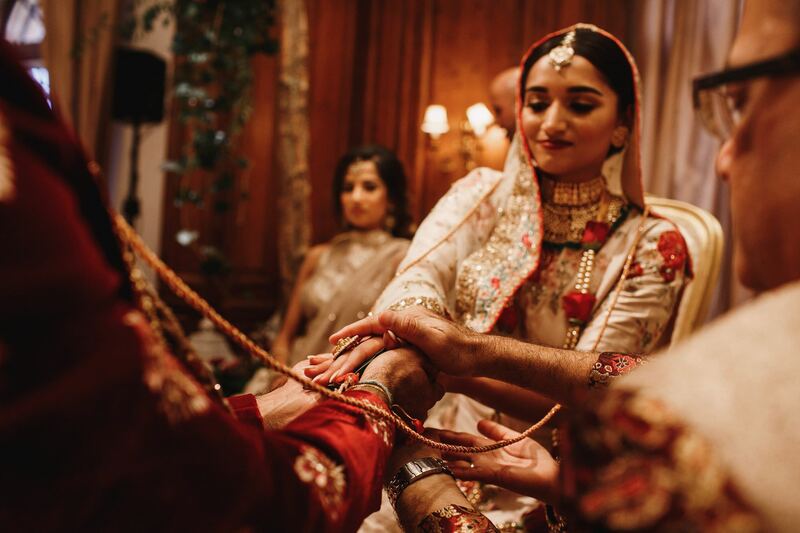 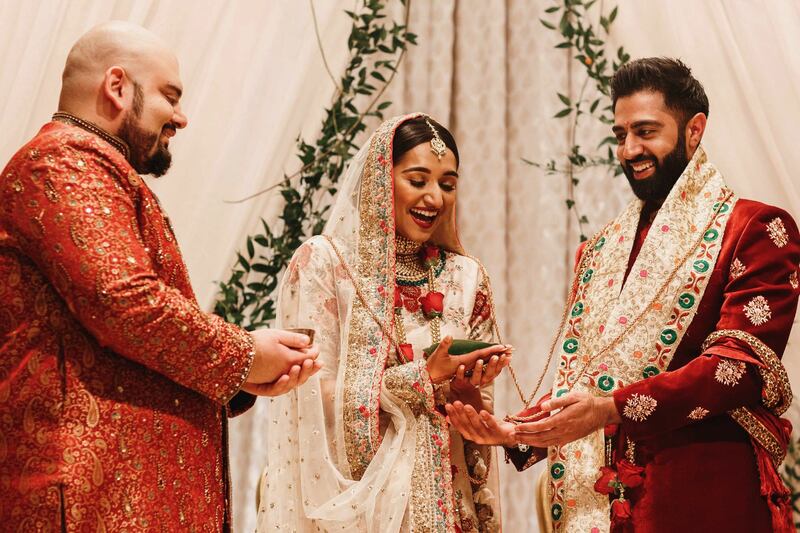 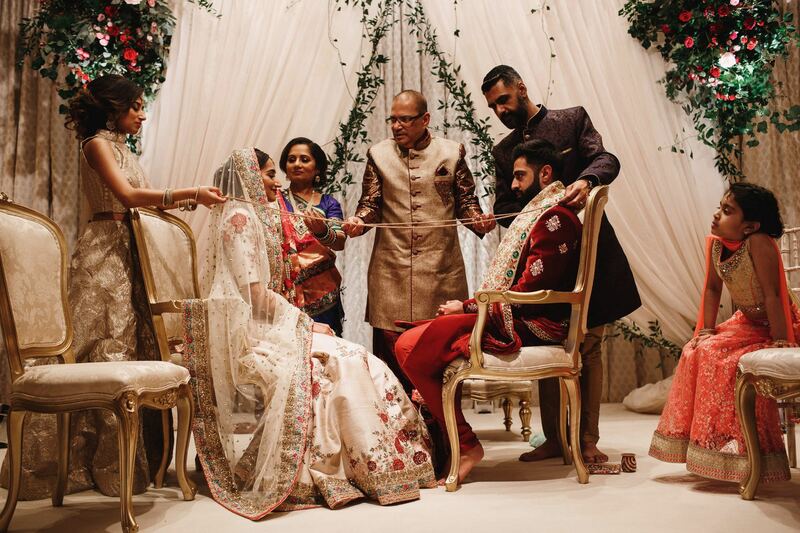 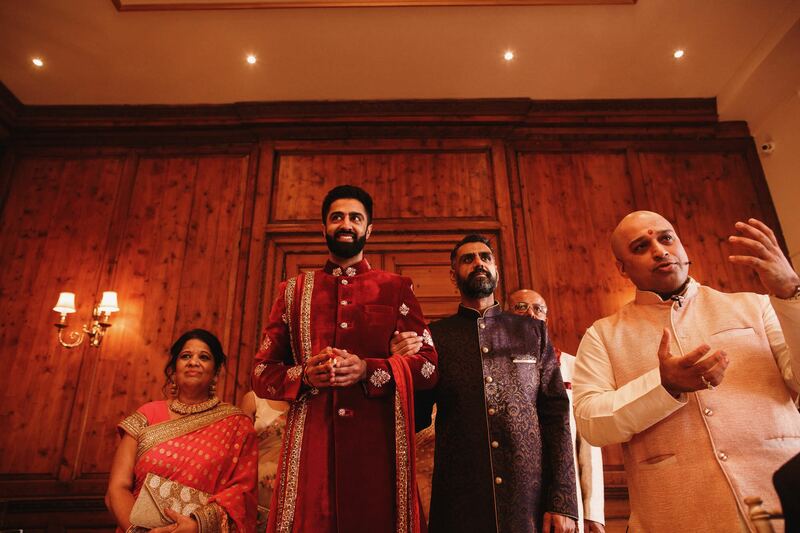 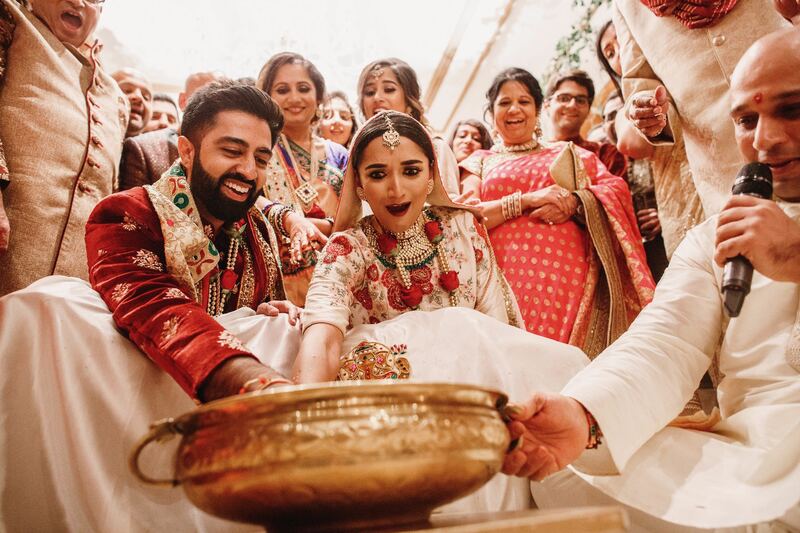 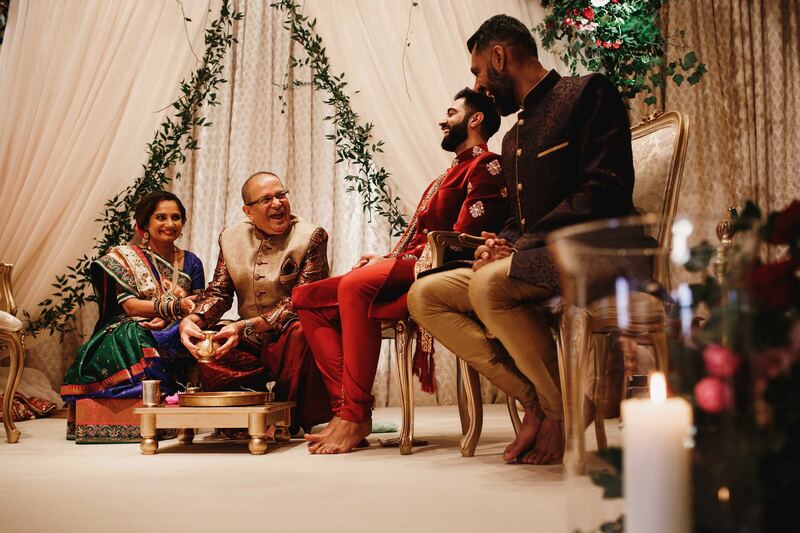 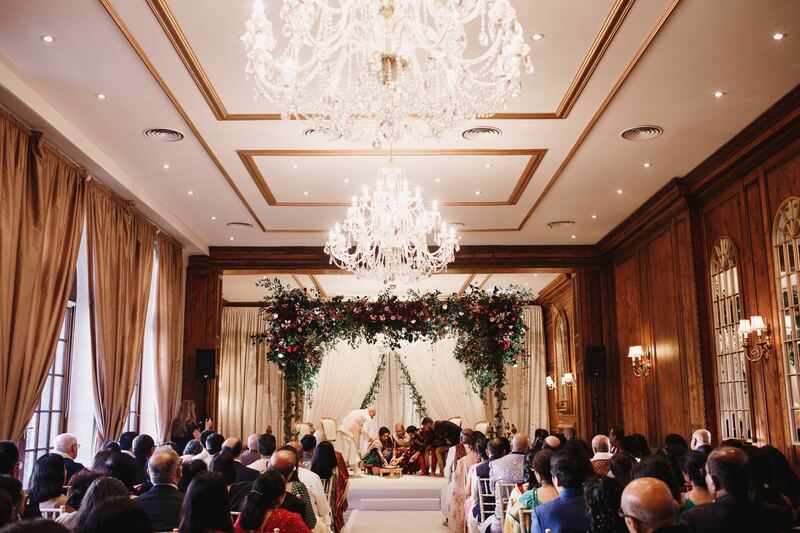 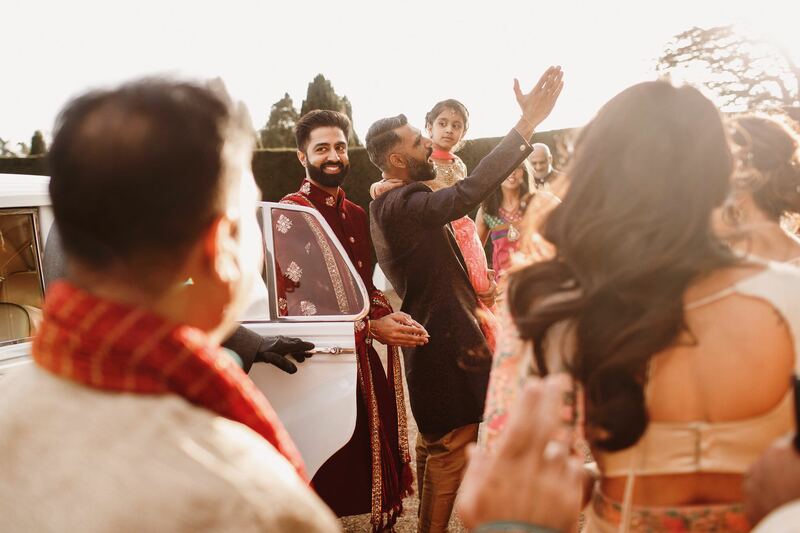 Mona got ready at Hedsor House, while Dipesh arrived to a rapturous welcoming committee for his Baraat and was led to the Mandap by Mona’s parents to begin the ceremony, with Mona making her own grand entrance moments later. 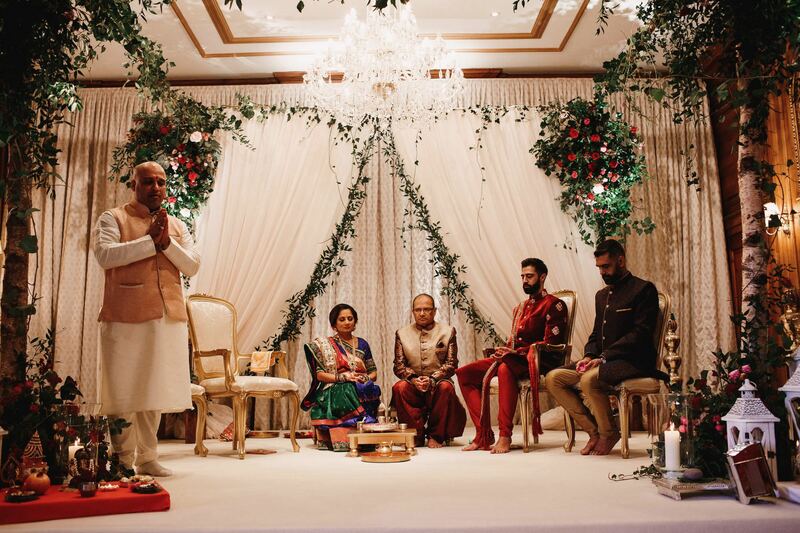 It was such a happy ceremony under a really striking Mandap and many of the guests commented how it was like something out of a movie, with perfect musical accompaniment by the talented Shiv Gopal who I’ve not had the pleasure to work with before but knew of by his brilliant reputation. 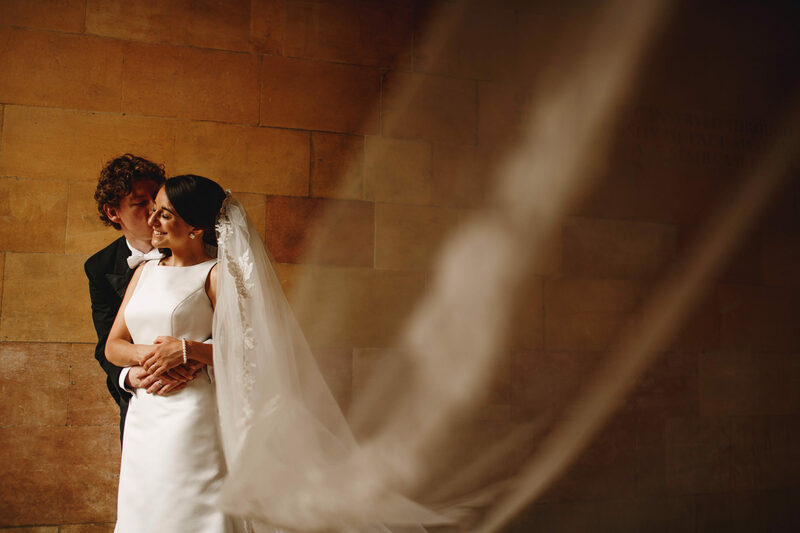 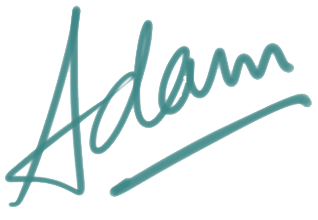 Also a pleasure to work with fellow TWIA winner, Ray McShane films! 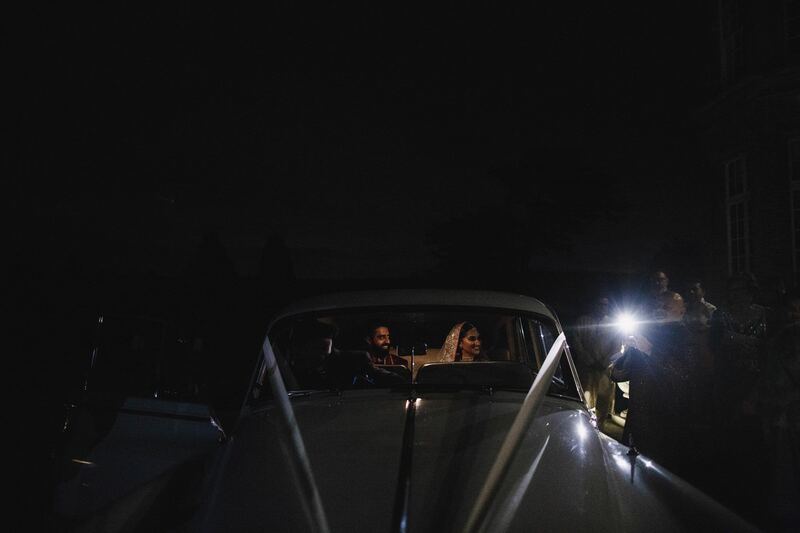 Being the middle of winter it was pitch black once the ceremony was over but I’ve never been one to let darkness get in the way so we explored the chilly evening and made some cool portraits before Mona and Dipesh said goodbye to their guests, and headed over to Oxfordshire and Tythe Barn Launton for part two the next day – their civil wedding ceremony! 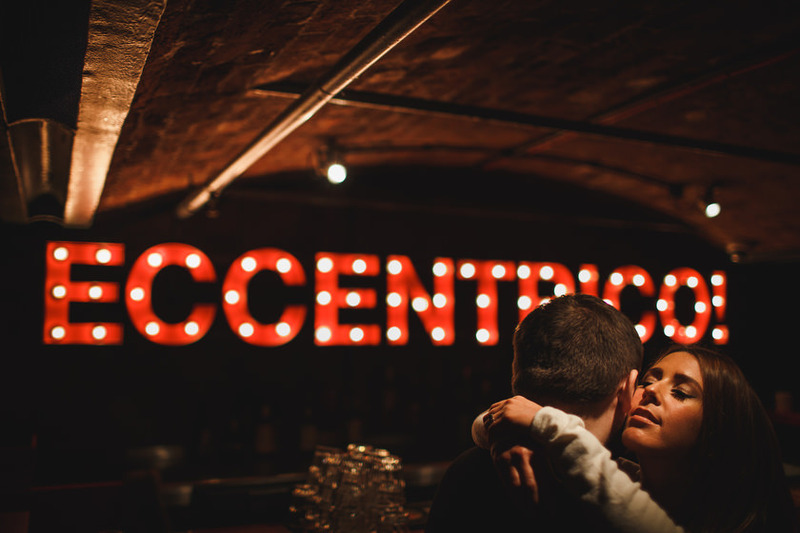 < Candice + Gary. 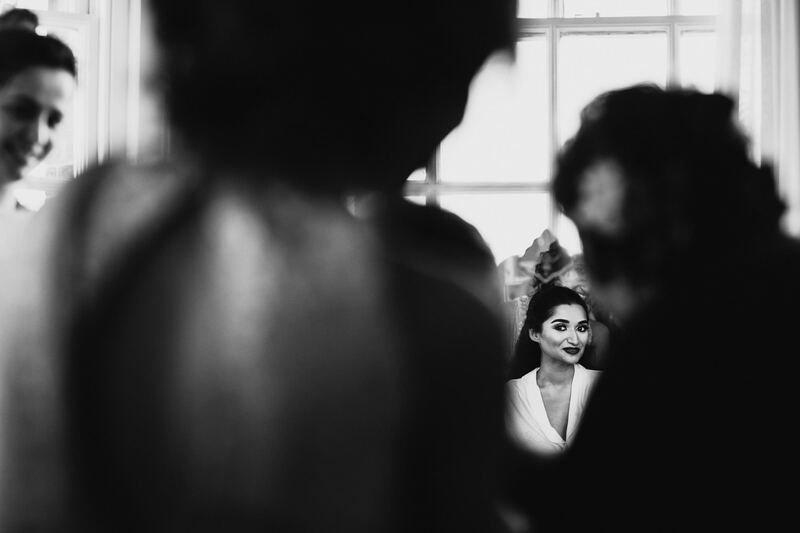 Broussards, New Orleans.